(San Dimas, CA, USA) The 7.0 magnitude earthquake that struck Haiti on January 12 has caused catastrophic damages and casualties in the country. Tzu Chi USA headquarters immediately established an emergency coordination center on the 12th and held meetings with nationwide offices and the founder of Tzu Chi Foundation, Master Cheng Yen, on the 13th. Tzu Chi’s relief team and medical personnel were immediately mobilized to be on standby. In addition, Tzu Chi has been integrating nationwide volunteers and medical manpower and resources to be on standby for dispatch to Haiti in the long-run. Resources are being shipped from the US as well as from Hualien, including eco-friendly blankets, instant rice, instant corn powder, reusable utensils, clothes, water purifying tablets, tarps, etc. Tzu Chi also initiated a global fundraising campaign, “Help Haiti with Love,” with 29 countries participating in the first phase of the global fundraising campaign. On January 15, Tzu Chi emergency coordination center in the US reached its local volunteers in Haiti, and immediately established an emergency coordination center in its Dominican Republic office. On the 18th, first relief assessment team from the US, including the CEO of Tzu Chi USA, arrived at the Dominican Republic. On the 19th, the team arrived in Haiti and met with Tzu Chi volunteers in Haiti. After the earthquake struck, there was a lack of electricity. Therefore, Tzu Chi’s instant rice, developed by TIHAA (Tzu Chi International Humanitarian Aid Association), is very useful during relief work. This kind of instant rice can be served 20-50 minutes after pouring in water of any temperature. 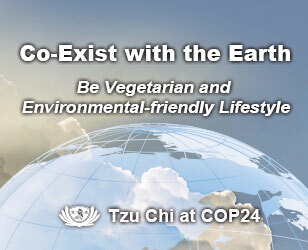 Tzu Chi also developed instant corn powder, which is one of the main staples in Haiti, to be distributed to the survivors. The first shipment of goods from Hualien, weighing 10 tons, has arrived in the Dominican Republic on January 26, and will be delivered into Haiti on January 28th. On February 1st, Tzu Chi will conduct small scale distributions in poverty-stricken areas that have not yet received aid from other organizations. Tzu Chi Jordan chapter has contacted the Jordanian peacekeepers to provide security for Tzu Chi’s relief distributions in Haiti. The second shipment of goods, including 12,000 blankets and 10,000 tarps from the US, will arrive in the Dominican Republic on February 8. In addition, 28 tons of instant rice, 1 ton of instant corn powder, 50,000 eco-friendly blankets and 30,000 sets of utensils (a total of 17 cargo containers) of supplies are on standby in Hualien, ready to be shipped to Haiti. 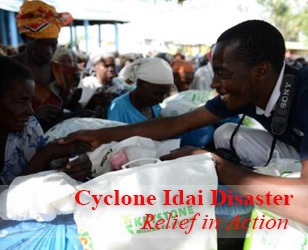 Tzu Chi will be providing not just immediate relief, but also mid and long term relief in Haiti. Tzu Chi will also establish a relief work program in Haiti for the survivors. 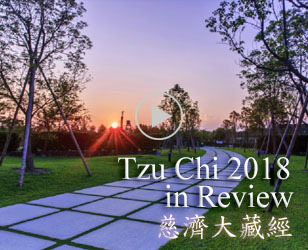 Based on Tzu Chi's prior experiences, a relief work program not only provides financial assistance, it also provides hope, love and a sense of purpose to the survivors. After Typhoon Morakot and Typhoon Ketsana struck Asia in 2009, TzuChi initiated a relief work program to give the survivors wages to help clean their own hometown. The city of Marikina in the Philippines was severely flooded due to Typhoon Ketsana; Tzu Chi volunteers and 80,000 relief workers/survivors cleaned up the entire city in just 18 days, preventing the spread of epidemics. The CEO of Tzu Chi USA, William Keh, continues to urge the public to pray for or send kind thoughts to the people in Haiti. Tzu Chi will be there to accompany the survivors as long as there is a need, and Tzu Chi will help to deliver everyone’s love to Haiti. Donation of any amount will go a long way to help the suffering people in Haiti; every cent of donation will be used for the immediate, mid-term and long-term relief operation in Haiti. Together, let us help Haiti with love!